In October Troy and I went with a handful of his coworkers to check out this neat little place about 1.5-2 hours northeast of Kuala Lumpur. 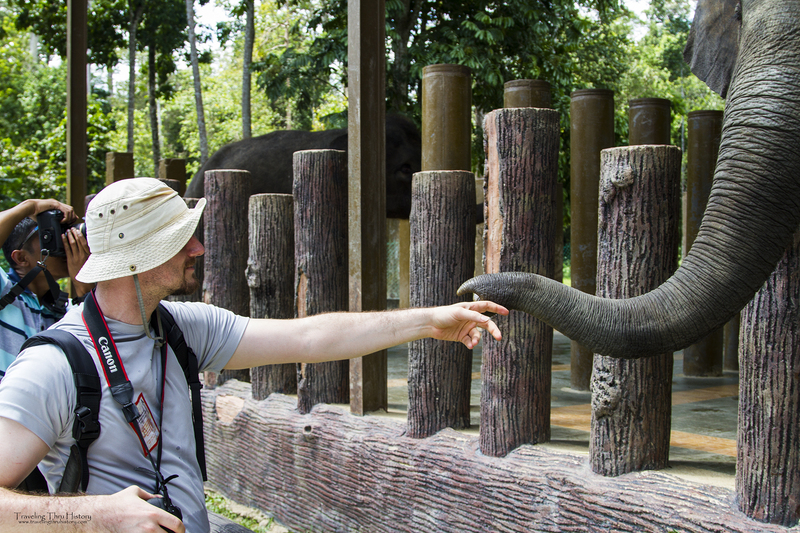 Along with being a scenic roadtrip away, it boasted the opportunity to feed and interact with elephants. 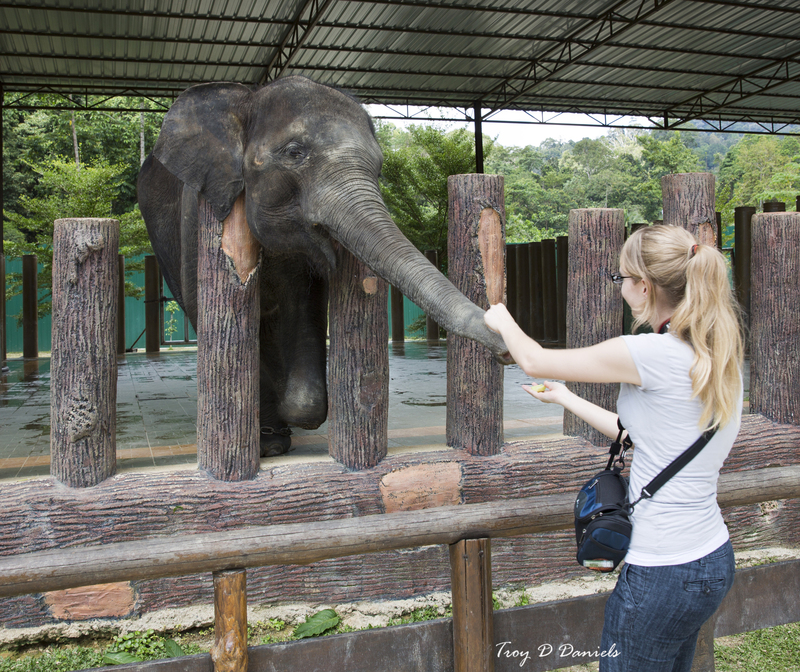 I was soooooooo excited and couldn’t wait to get there.The elephant sanctuary is located in a very rural area that is fairly easy to get to……..if you’re paying attention. We got turned around a little bit because our gps told us to turn right when we should have turned left and we ended up at this compound with barbed wire around it. Yikes! After a quick turn around and navigating by eye instead of using the gps, we got there safely. There were several signs that we had missed that directed us straight to the entrance. lol. The parking lot for the sanctuary was surprisingly empty. There were only a handful of other cars there. I had thought it would be really packed, but we were there kinda early. The sanctuary opens at 10:30 and we got there around noon. Nothing really interesting happens until about 1:00. The schedule says the elephants wander around a trail in a fenced area, but they weren’t doing that when we got there. So, we just hung out in the common areas, took some pictures and ate lunch. After eating, we walked about and learned a bit more about the place. 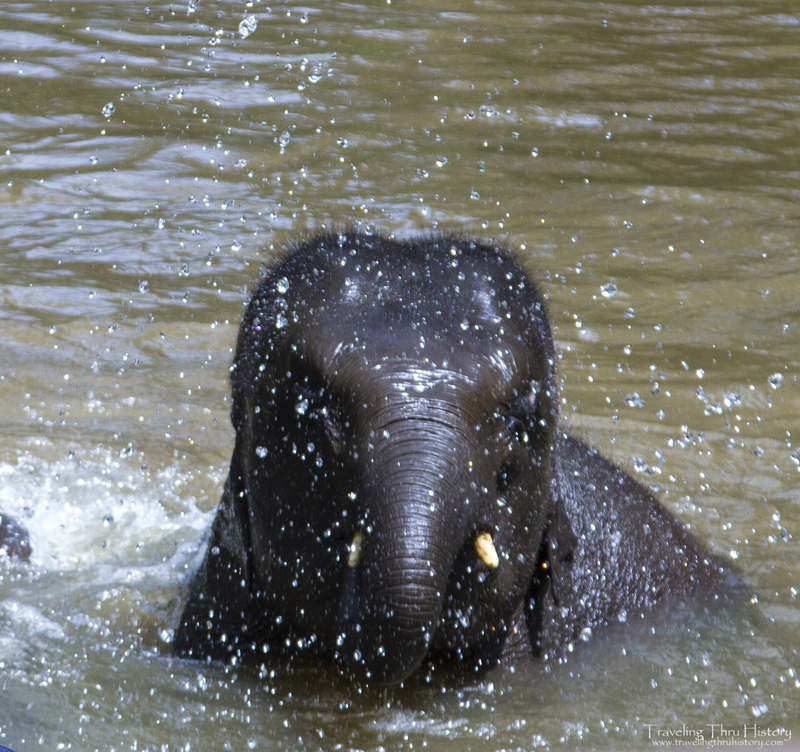 Kuala Gandah Elephant Sanctuary is an elephant preserve that has been around since 1989. 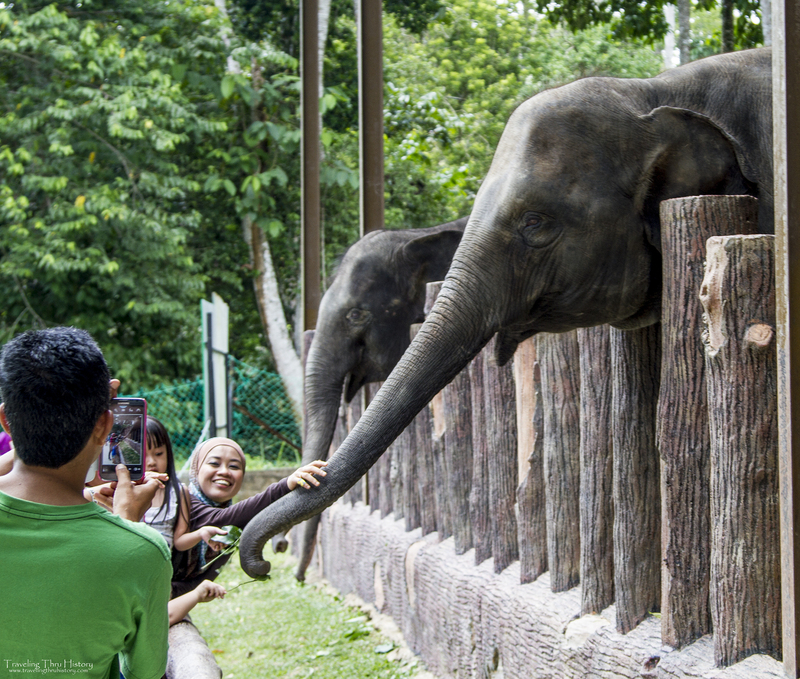 It is there to provide a place for elephants who have gotten into the plantations around Malaysia to go and be cared for before they are relocated to different preserves or national parks in the country. Some elephants are injured and stay there until they are healthy enough to be in the wild on their own. The sanctuary staff teaches the elephants to be comfortable around humans and to help out with heavy-labor tasks, such as moving trees and clearing out large pieces of timber. 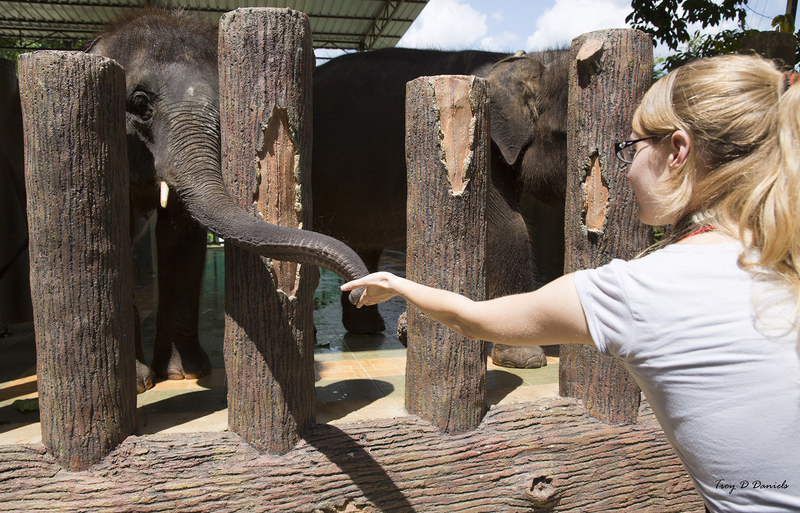 They try to get the elephants moved out within a few months, but some end up staying longer due to illness or injury. 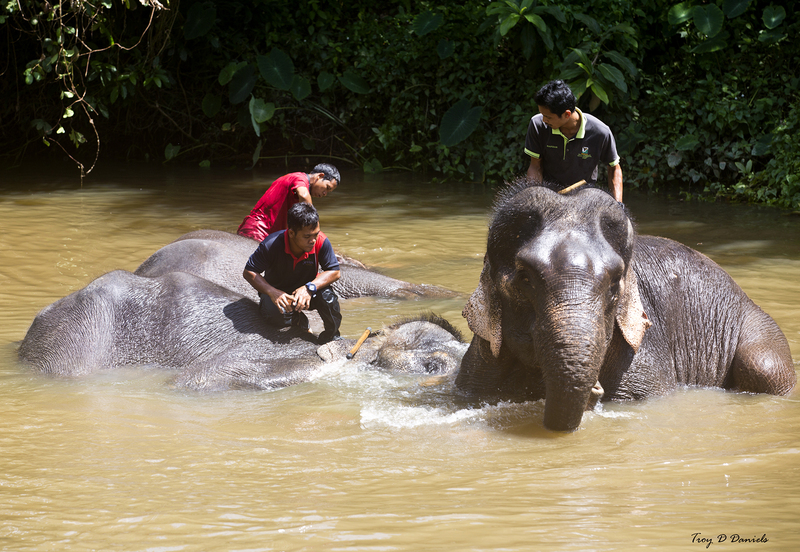 The main purpose of the sanctuary is to help and preserve the elephants in Malaysia since they are on the Critically Endangered list. 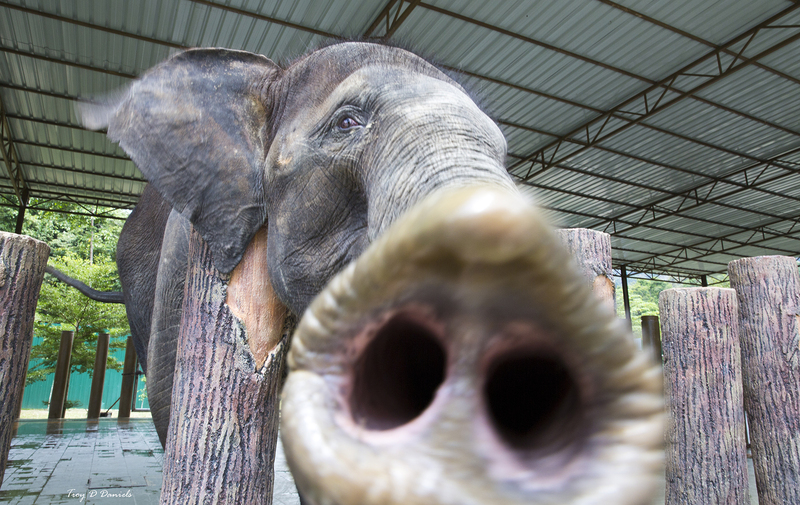 To do that, they focus on educating and making the public aware of the plight of the Malaysian elephants. 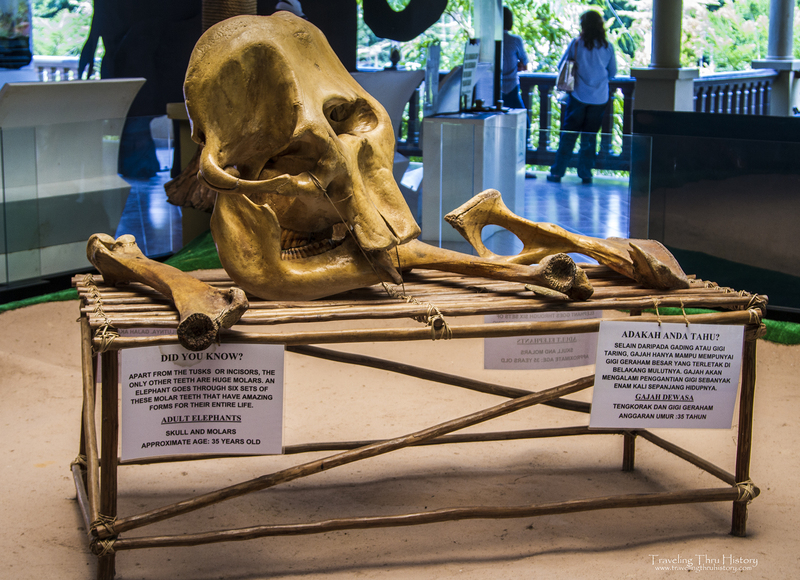 In the common area, they have this information station that has large tablets with information, pictures, bones and other elephant-related items. It was pretty neat. 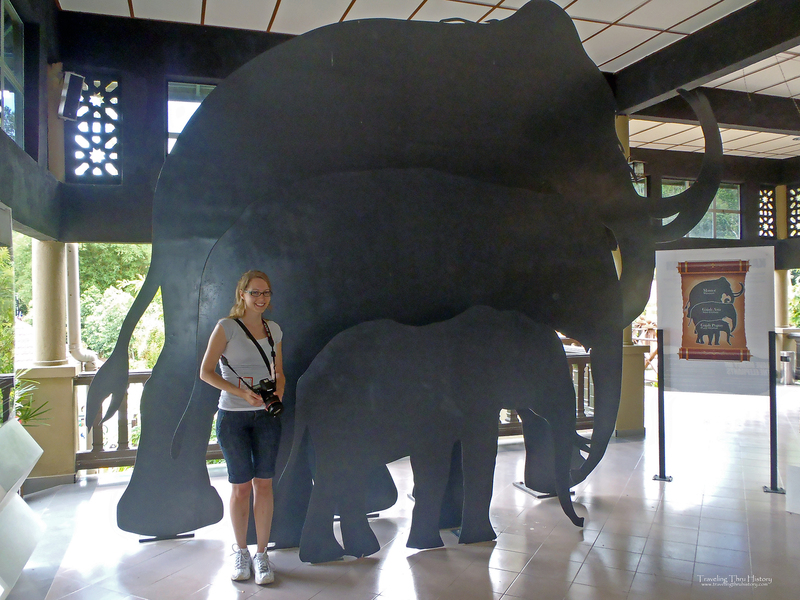 There were a lot of really neat facts about Malaysian elephants and some really big skulls! They also had an example of the size variation between mammoths, Asian elephants and pygmy elephants. Of course, we had to get our pictures next to it. Yay! 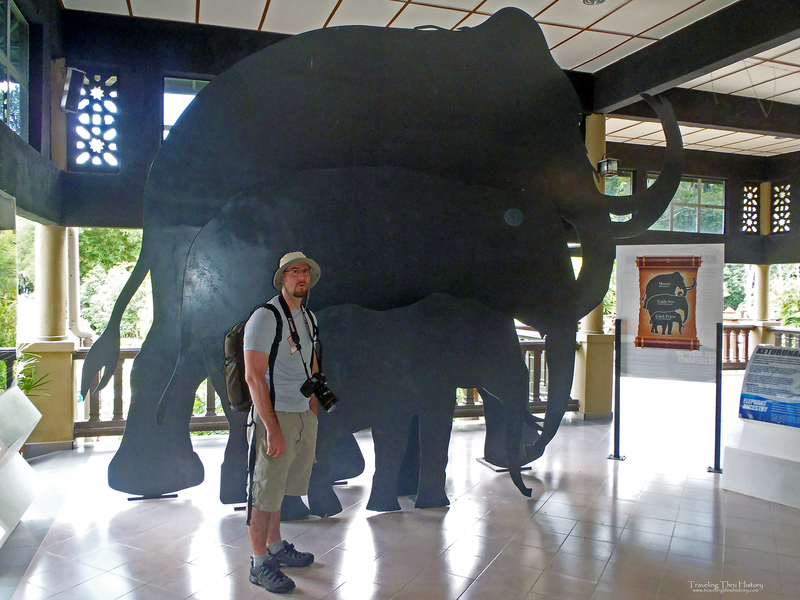 I’m taller than a pygmy elephant! After hanging out and killing an hour, we were able to watch a really neat video that talked about the purpose of the sanctuary and then a documentary on what they do there. It was neat seeing how they capture an elephant that is damaging a plantation. Though, I think they should say that the plantation destroyed the elephant’s natural habitat and the elephant is just trying to find out where its home went. But, anywho, the video shows how the elephants are captured, cared for and then released back into the wild. I really enjoyed seeing how they do all of this and the care they take while doing it. The workers there really love the elephants. After watching the video, we were able to go to the middle of the preserve and see the elephants! By this time, there were a whole lot of people there. 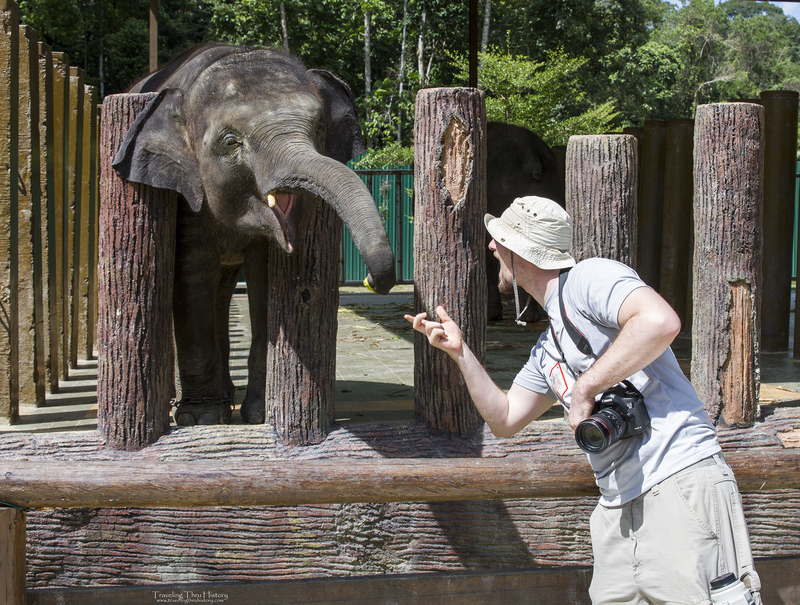 When we first got to the area where the elephants were, we got to visit with some of the smaller elephants. 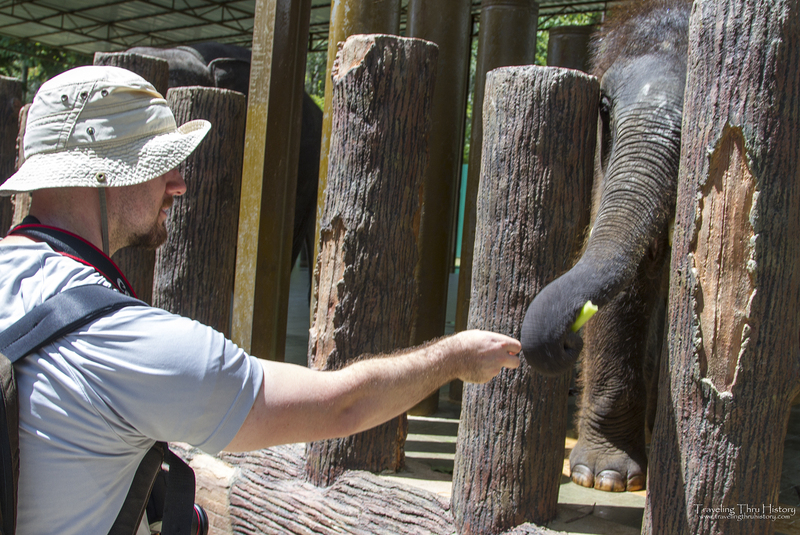 We’d brought food with us, so our snacks became snacks for the elephants! I absolutely loved how excited this lady looked to have a picture with the elephants, so I snuck a picture of her, too. 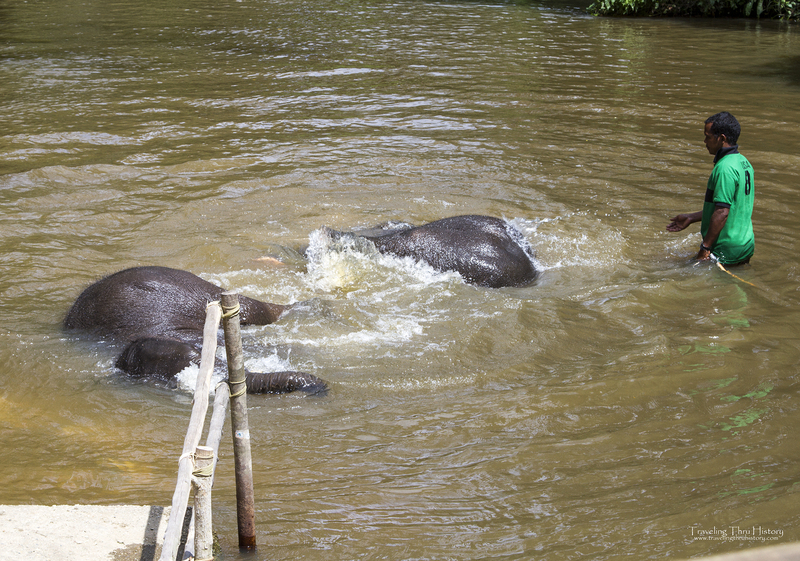 After about 15 minutes, they had a mini procession of the larger elephants going from the jungle area over to the river where we got to watch them play in the water. It was pretty fun. Usually they let people swim in the water with the elephants, but if they think the elephants are stressed for any reason, they don’t allow people to go in the water with them. They also don’t allow people in the water if the water is too high or the weather is bad. The weather was beautiful when we were there, but the elephants were stressed out, so we just got to stand in a gazebo and watch the elephants in the water. It was fun watching them play and have a good time. One thing to keep in mind while you are there is that there are a lot of people and you will get pushed and bumped a lot. This guy was being a bugger and trying to spray people with water. 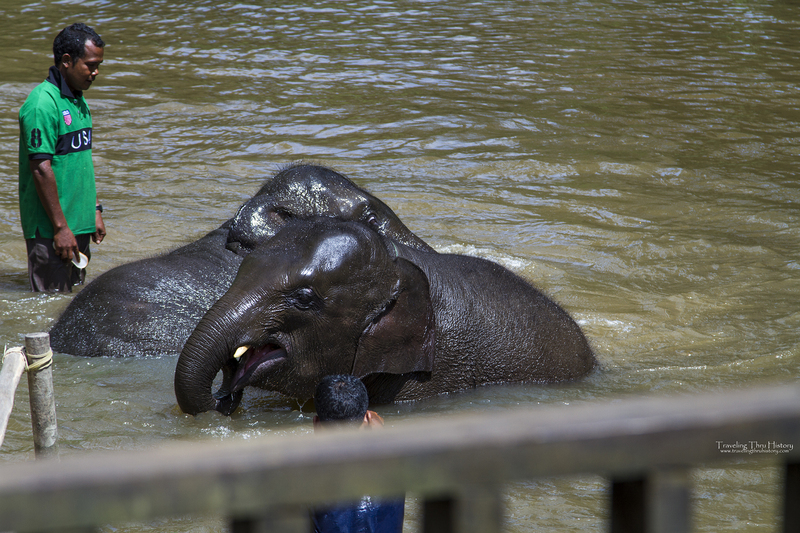 White they were in the water, the elephants enjoyed a good scrubbing by the mahout. Watching these men interact with the elephants, it’s so clear to see how much they love these animals. 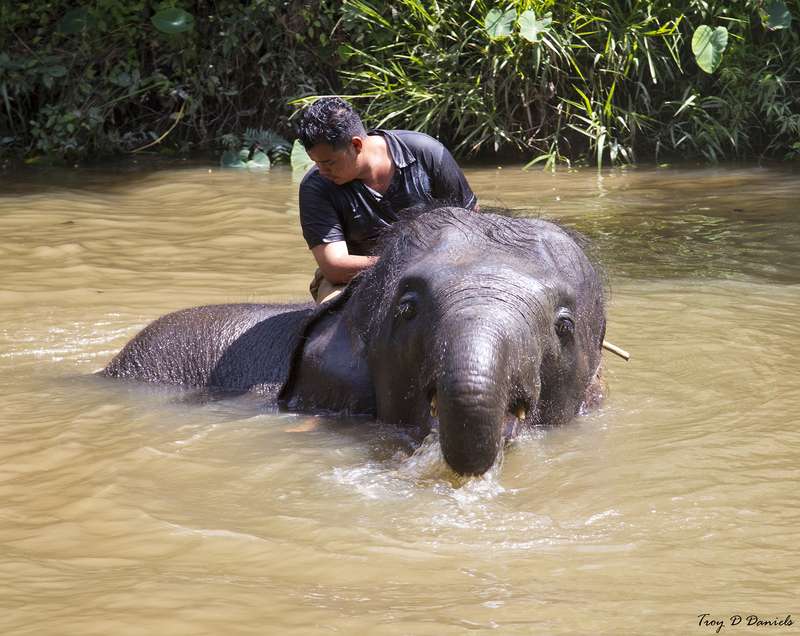 After the elephants played in the water for a bit, the handlers took them over to a little arena area where they did a small presentation. There were a few English-speaking people there who complained about the ‘lameness’ of the ‘show’, but these aren’t show elephants. They are wild animals who are just being taught a few simple things before being returned to the wild. 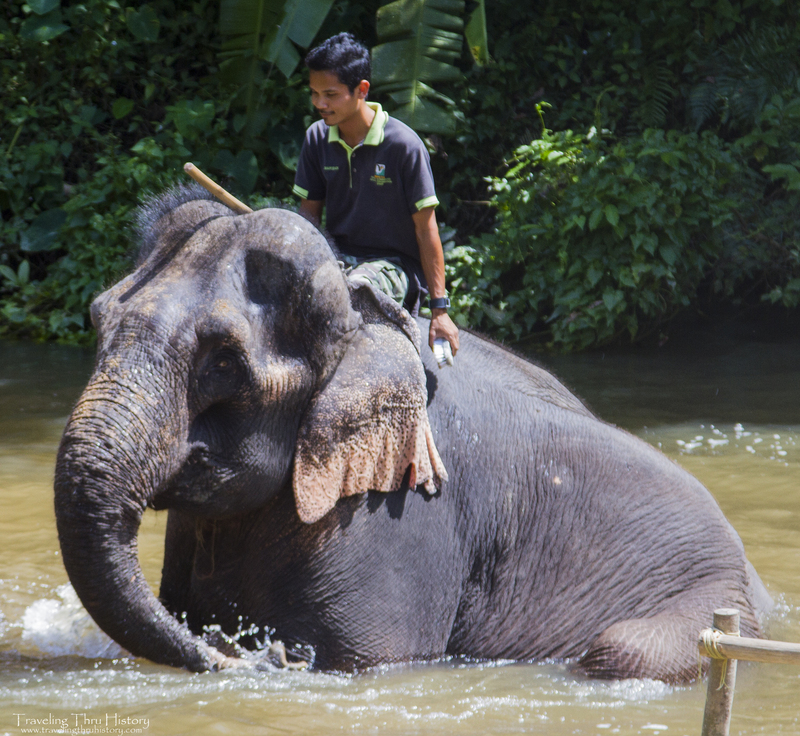 Some of the elephants are domesticated enough to help with the translocation process of the wild elephants, but none of them are for show or entertainment. I enjoyed the presentation that demonstrated how strong elephants are and how good their balance was. It’s always neat being able to see the strength and intelligence of the animals around us. Pardon the shakiness. We were getting pushed and jostled quite a bit. After the presentation, we got to feed the elephants! I didn’t even realize there were baskets of fruit laying about until the end of the presentation. 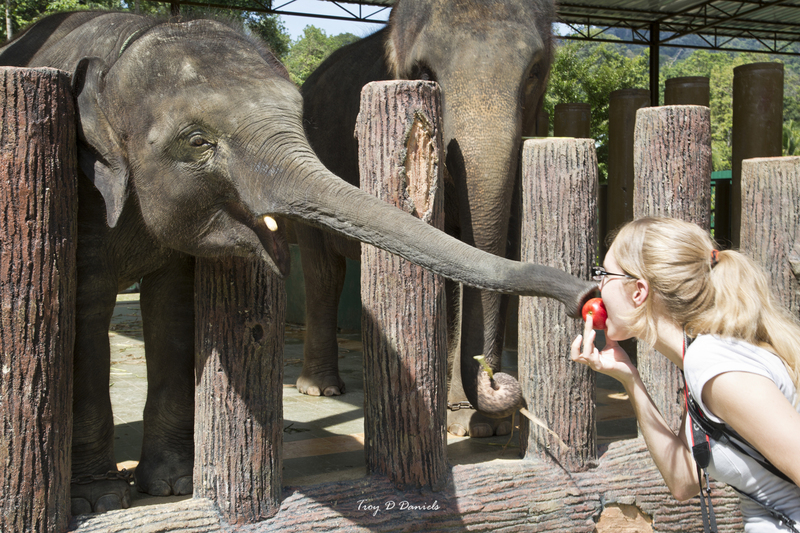 I’m glad Troy noticed sooner than I did so that we could grab some fruit to feed the elephants. We’d brought celery, carrots and some apples to snack on, so we still would have been able to feed them, but it’s always fun having a lot to give them. 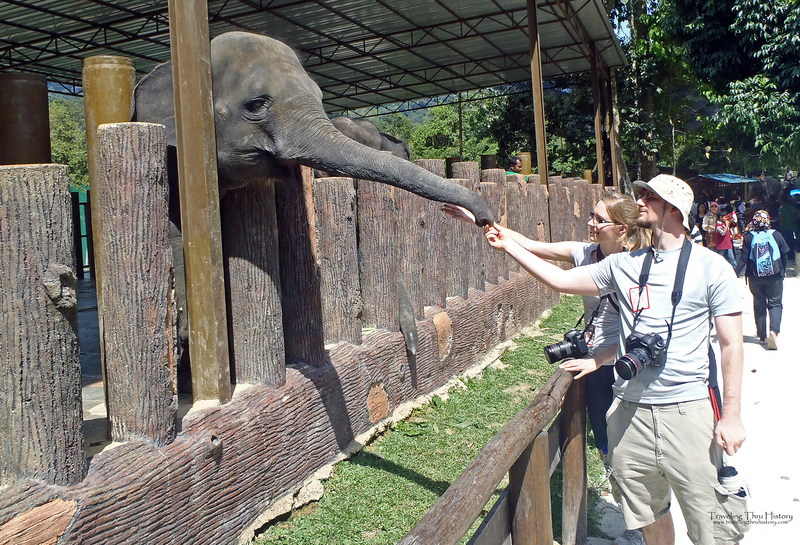 We got some pretty fun pictures of us feeding the elephants. 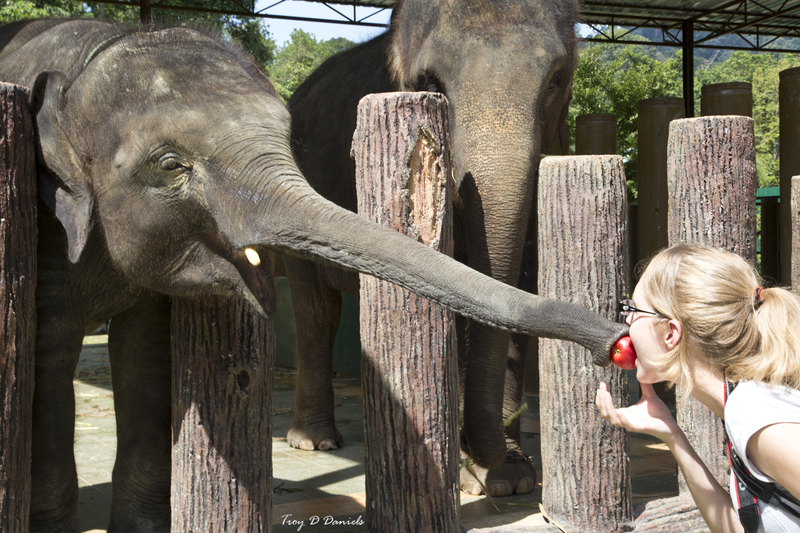 After feeding them a bit, Troy thought it would be fun to pick an elephant’s nose. The people we went with were all talking about how cool it was that I did that, so Troy tried it, too. His attempt didn’t work out quite as nicely as mine. I think he forgot the part about it needing to be in his mouth. lol. 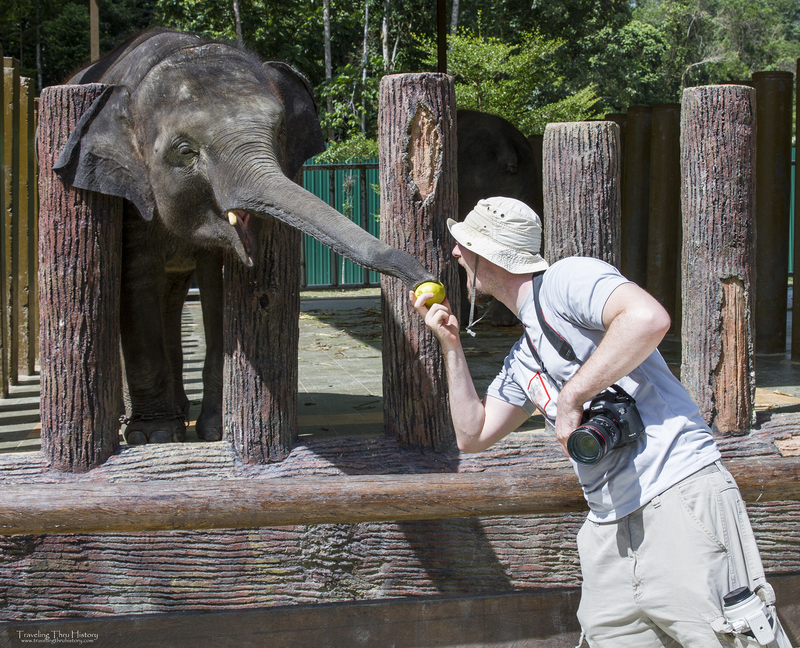 Or maybe the elephant learned and was quicker to grab the apple this time. Overall, the entire experience was fun. 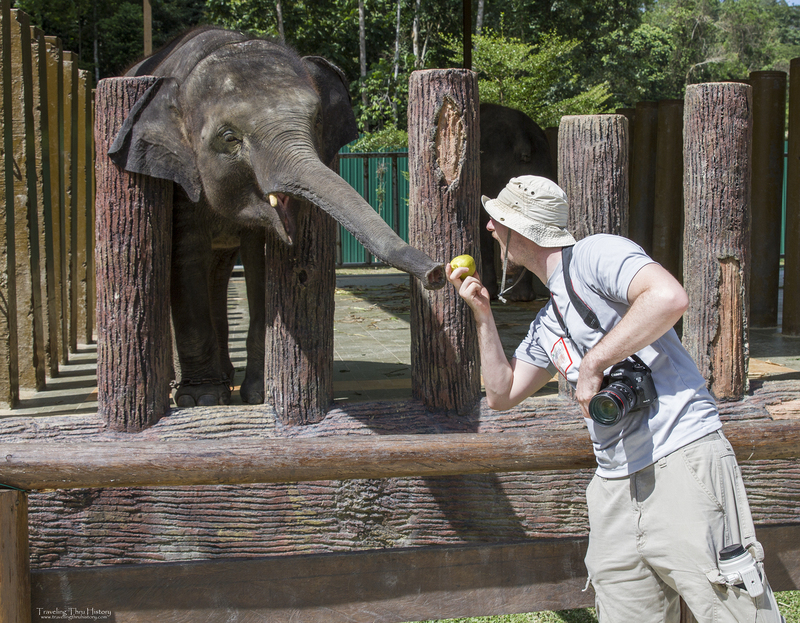 It was a bit crowded and a little crazy, but we still had a good time feeding the elephants and learning more about the sanctuary’s mission. Any effort at animal conservation is a noble thing. Elephant observation along the interpretive trail. Elephant conservation talks at interpretive stage. Note: Please be informed that there are no elephant rides provided in this centre. I am sincerely appalled that one (or several) of my countryman would behave in such a manner as to cause an entire program to be shut down. I am so sorry this happened. 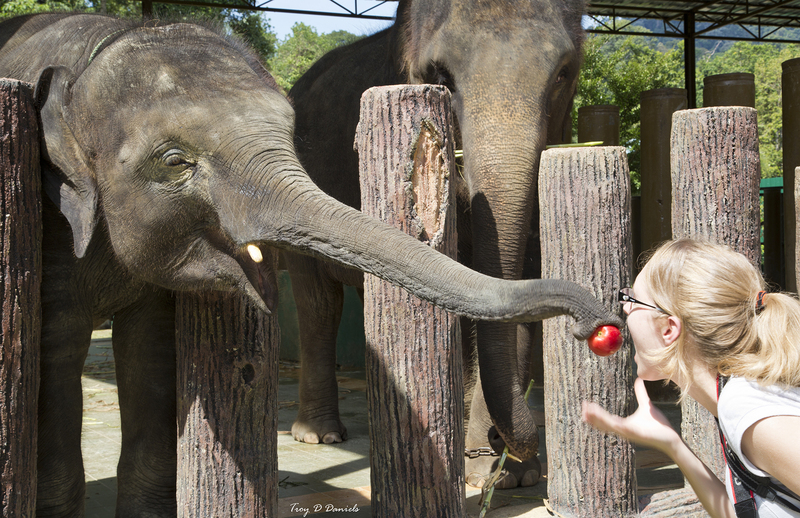 I hope one day the Kuala Gandah Elephant Sanctuary will be able to resume their volunteer and internship program. I’m sure it helped a lot of people better understand elephants and the effort to help them. From Kuala Lumpur, take the Karak Highway heading towards Lancang District, passing the Karak Village along the way. Once in Lancang, you should be able to see a BP gas station by the side of the road. 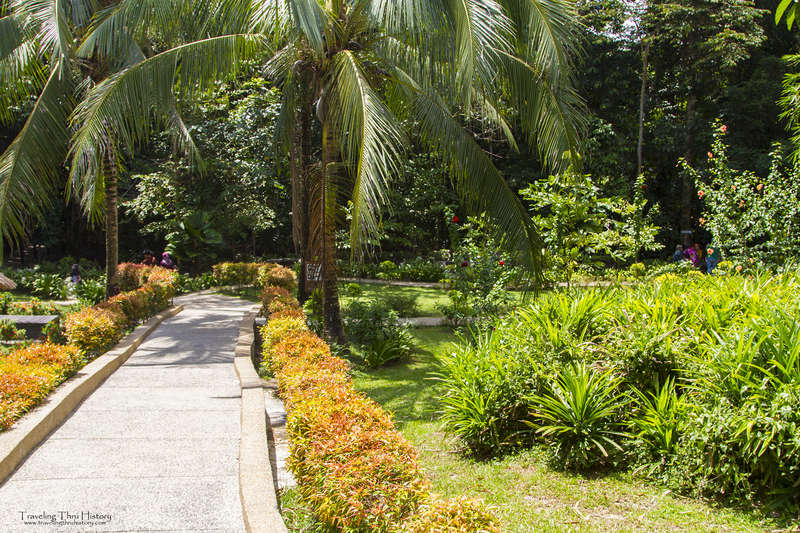 Turn left into the road before the gas station, then follow the ample road signs along the way and head towards Bolok. You will pass an Orang Asli settlement and at the end of that road, you will reach the Kuala Gandah Elephant Orphanage Sanctuary. 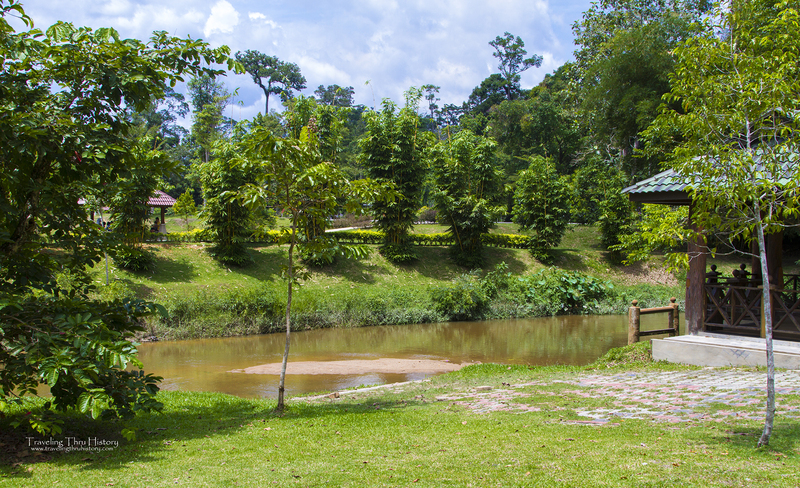 The journey takes between 2 to 2 1/2 hours and is 160km from Kuala Lumpur. Stunning photos! I do love those elephants. I’ve seen them for once during my travel vacation in Thailand and I wanna see them again. I’ve been following your blog a while now, love your article.Keep it up. These are wonderful photos. I have a fascination with elephants. They seem like such friendly animals. Thank you! You know, they really are. Even with the limited interactions we had with them, you could tell they have so much personality and they love interacting with people. 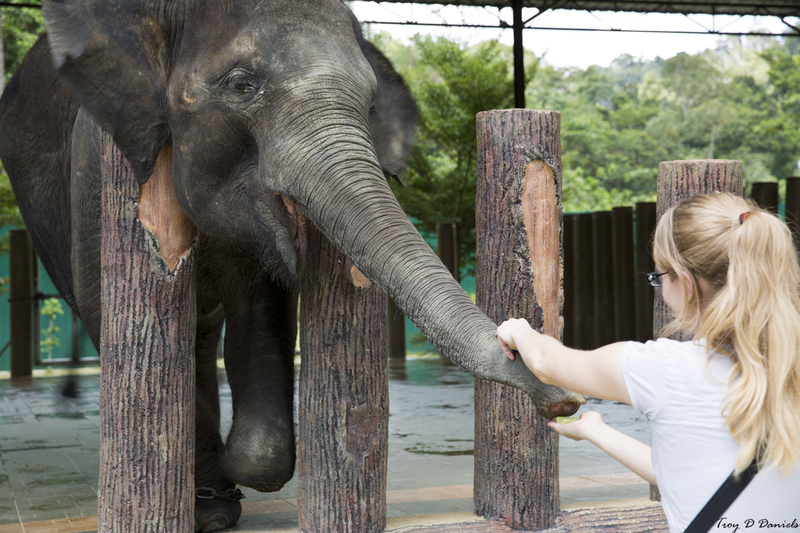 I love elephants and am so glad that there are places like this to care for them when they are ill or injured. I am sad to hear that they are on the endangered list there, but places like this do make a difference . I will be visiting Chaing Mai in early June and plan to visit a similar place there. I agree. It is sad that elephants are becoming endangered from our exploitation and mismanagement. I’m glad some people have started creating these refuges to care for them and make sure they get the help they need. 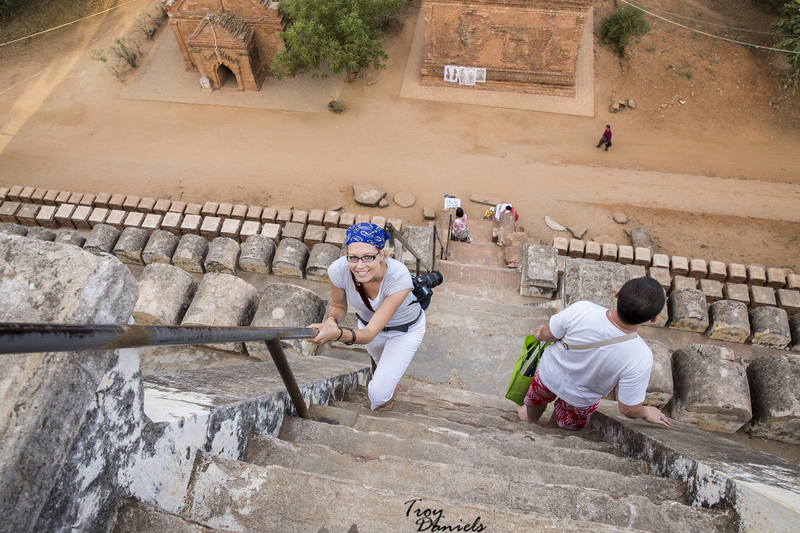 Let me know how your trip to Chiang Mai goes. I’m sad we didn’t get to go there when we were in Thailand.